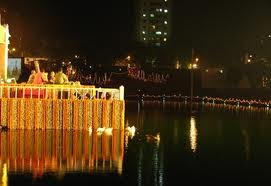 Jaipur Banganga Fair and witnessing the various rituals will be a great experience for the tourists. Performing the rituals will is believed to be very auspicious. Large number of devotees gathers at the temple in the fair. They take a holy dip in the waters of the Banganga River. This dip has a great significance as it is believed that dip in the river will wash away al your sins. After these rituals, the devotees also pay a visit to the temple of Ganga Bihari and Hanuman. The temple of Lord Shiva and Goswamiji Math are also visited by a large number of tourists. 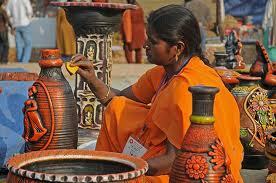 The fair is also very important for the merchants and traders who come to this place to sell the products. If you are a shopping freak then you will truly have a great time in the bazaar. The bazaar sells a wide variety of items ranging from general to household items. The presence of a number of entertainment and recreation facilities in the fair will also provide a great time to the children. There are a number of tour packages available. Look carefully through the tour itineraries before finalizing the package. Choose the one that suit your budget needs. 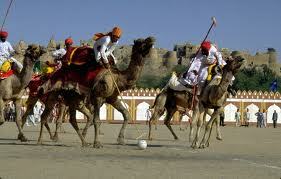 Moreover, you should also make sure that the tour to Jaipur includes a visit to the Banganga Fair. The tour will surely be a great experience. 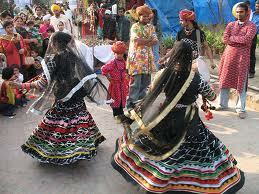 Banganga Fair is 200 years old, Banganga Fair showcases the richness of Rajasthan cultures and traditions. The fair is the time to purify souls by worshipping and holy dip, shopping of curios and crafts, Rajasthani food and many attractions for kids and adults alike. This Fair is organized every year on full moon day of Baisakh month (April-May) at the banks of a small river, Banganaga, which is 11 km from Bairath. This fair has its own historical significance that is related to Mahabharata. It is believed that this rivulet was created when Bhishma Pitamaha, a famous hero from Epic Mahabharata, was feeling thirsty at the time of his death, his grandson and great archer Arjun used his archery skills to extract water. As he shot his arrow, a spring came into being here at this spot and that I why its name ?Banganga? Ban means arrow and Ganga was the name of river this stream belongs to. 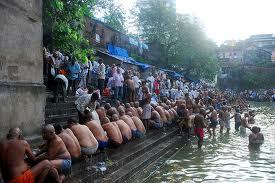 Every year, thousands of devotees come to this place to have a holy dip in this rivulet around this auspicious time. Every year, thousands of devotees come here to participate in this historic fair to seek God's blessings by having a holy dip in the stream. Radha-Krishana Temple is the main location for gathering of fair. Devotees start assembling in this temple since early morning to pray and then take a dip in the holy stream. This act of taking holy dip is believed to wash away the sins and cleanse the soul. Apart from the main temple, there are other equally important shrines on the riverbank, which are visited by the devotees regularly. These shrines include the Math of Goswamiji and the Temple of Lord Hanuman, Shiva and Ganga Bihari. The entire area surrounding these shrines is impeccably attractive and holy. The holy ambiance and the worshipping activities act as a great purifier for the souls.Apart from worship, the Banganga fair is also a time for enjoying and taking a peep at the Rajasthani culture. Traders from different areas and different communities set up their shops in the fair to sell their wares. They sell all kinds of articles right from toys, traditional ornaments, household items and more. Devotees can spend their time happily shopping curios, souvenirs, traditional crafts and other things from the small stalls organized here by the local artisans. 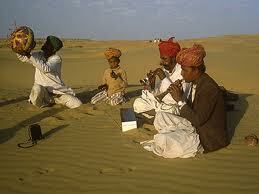 Add to this, they can relish delicious traditional Rajasthani food. There is merry making atmosphere during the fair which is most enjoyed by the children as they can enjoy many fun moments here at giant wheel, merry-go-round and other thrills.